Gypsies should be hired to sort Rome’s garbage, a social policy councilor has advised. This should be an easy decision thanks to their “skills in rummaging through waste,” – a statement that has reverberated throughout City Hall. Although the suggestion has led to accusations of various sorts, the councilor, Francesca Danese, insists she’s after a comprehensive approach that would benefit all, the Roma minority included. Some 5,000 Roma living in camps have little job opportunities, and many of the camps are far removed from the hustle and bustle of Rome’s downtown, which means a lack of transport and other benefits as well. “It’s useless to pretend the problem doesn’t exist,” Danese explained to the Adnkronos newspaper. She views the challenge as completely unrelated to ethnicity. In fact, it’s the system of poorly maintained camps with atrocious living conditions that are a big part of the equation for her. She believes they are expensive and achieve little, and therefore suggests the government does away with the entire idea, as part of her wider push to curb lawlessness and substandard living conditions, as well as Italy's garbage problem. “This can be a way to give ‘nomads’ the chance to leave the camps, to empower themselves and earn a living legally,” she says. “Finding a solution is a political responsibility. A lot of these people rummage through rubbish and find materials, they have become skillful,” she adds. For her the problem is one that affects both the Romans and the Roma minority. She goes on to say that garbage is a health problem that affects everyone and is becoming a public health concern for the capital’s population. 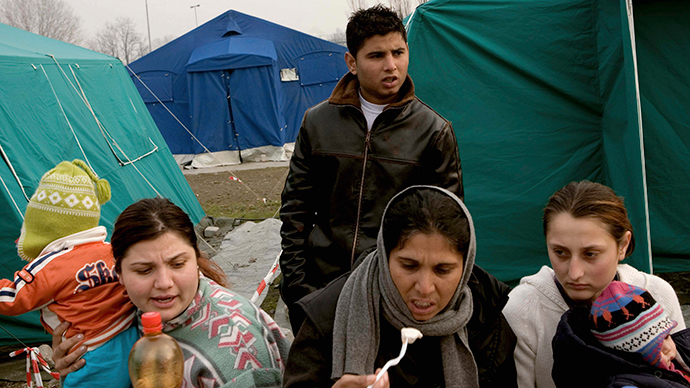 Most politicians who have been quoted by the media didn’t take issue with Danese singling out the Roma as an ethnic group, but more with the fact that Danese’s initiative “[showed] a lack of understanding of how to run a city respecting the rules,” as a member of the Democratic Party said in opposition to the idea.